When an old friend called and suggested that we meet him in New Orleans, this past weekend, for an event called “Art for Art’s Sake” on Magazine and Julia Streets we didn’t hesitate – Of course…Yes! The weather was going to be beautiful…clear skies and slightly cool temperatures – perfect! 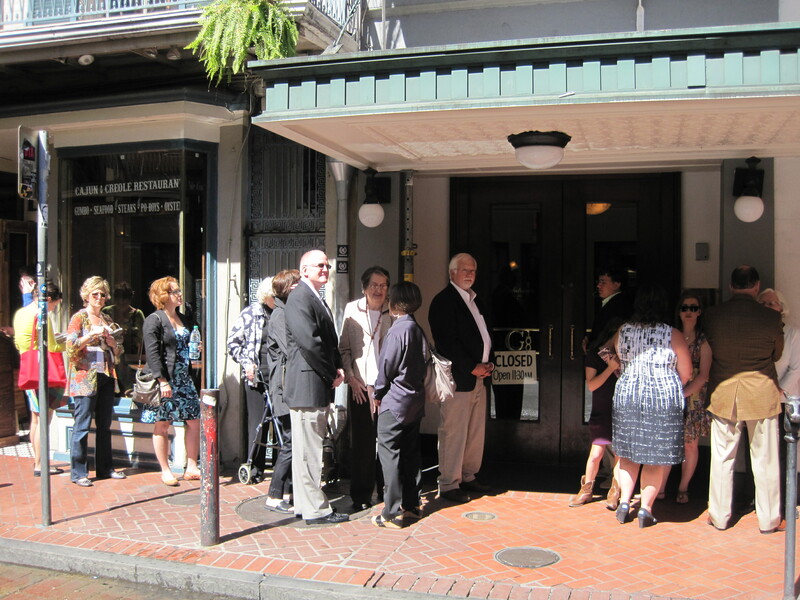 Precisely at noon, we all “mosey” down stairs and are led to your table – with your favorite waiter, of course! The crowd is festive and lively.. you would think that there was a parade coming, but no….just another Sunday in New Orleans – you have to love it! As I looked around the room, each table seemed as though they could have been sitting in their own dining room…young and old – sharing stories, laughing, hugging as each person arrives (even applauding some!) There were those celebrating birthdays and anniversaries. And some were like us…simply, but clearly celebrating life! We started with the Souffle’ Potatoes, that are like a secret magical puff of a potato that just seems to melt in your mouth the moment you bite into it! 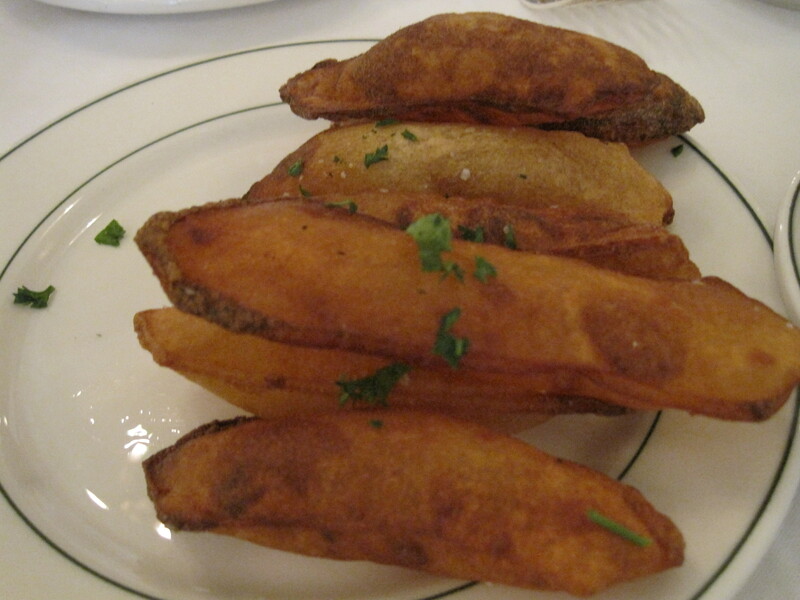 Reminded me of a beignet, but potato – then a bearnaise sauce for dipping…Magical is the only word I can use! 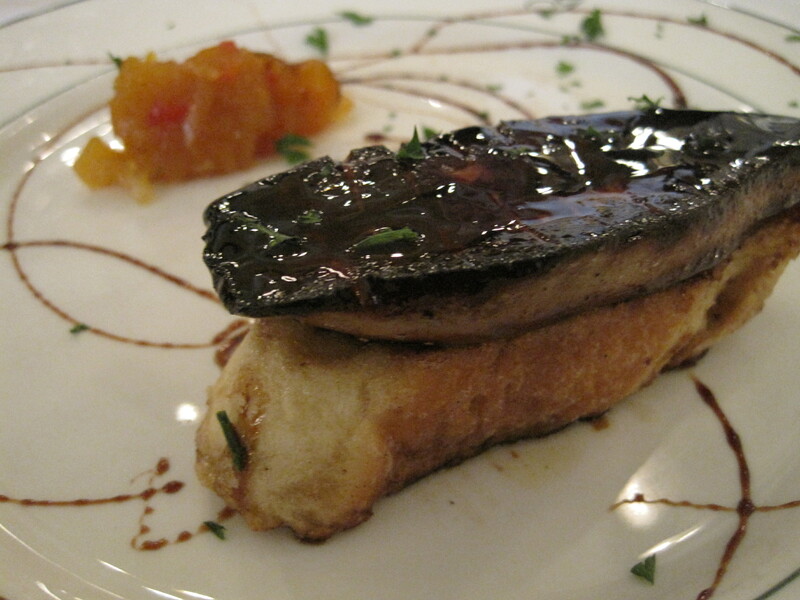 Seared Foie Gras with Cane Syrup on Pain Perdu (French Toast) with Apricot Chutney – how in the world could I not order this? The buttery texture of the foie gras, perfectly seared with cane syrup, placed on top of the mildly sweet pain perdue – paired with the fresh apricot chutney! One of the best things ever…I will have to attempt this one at home! Godchaux Salad…named after Mr. Leon Godchaux, in the 1920’s. 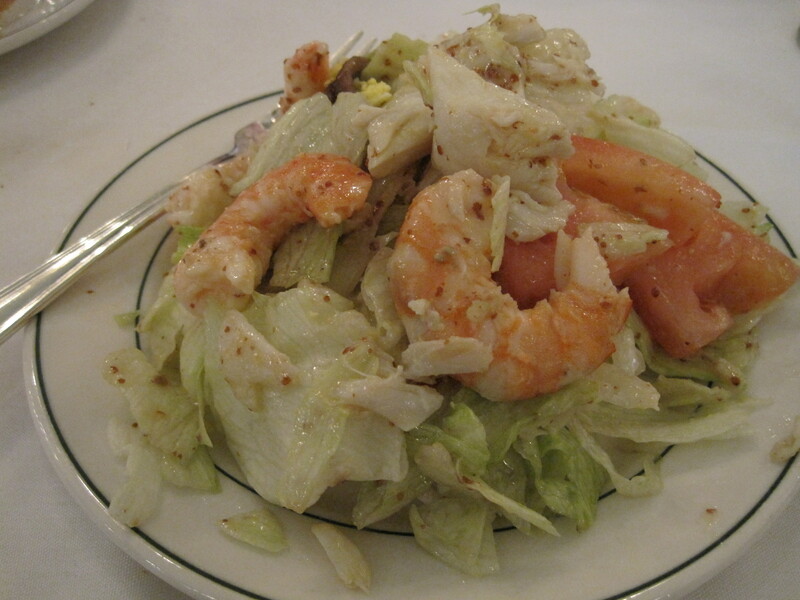 Mr. Godchaux owned the famous Godchaux’s Department Store on Canal Street and would walk over to Galatoire’s and request this salad to be prepared just for him. Thank you, Mr. Godchaux!! 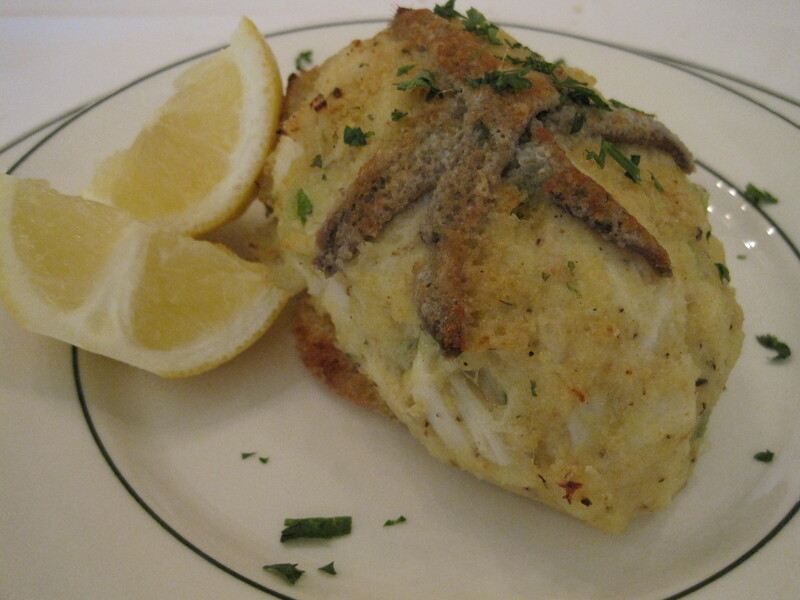 Perfect jumbo lumps of sweet blue crab and huge boiled shrimp doused lightly in a creole mustard vinaigrette, always served on crispy iceberg lettuce, fresh tomatoes, boiled eggs. I crave this salad on a regular basis! So glad we continued! 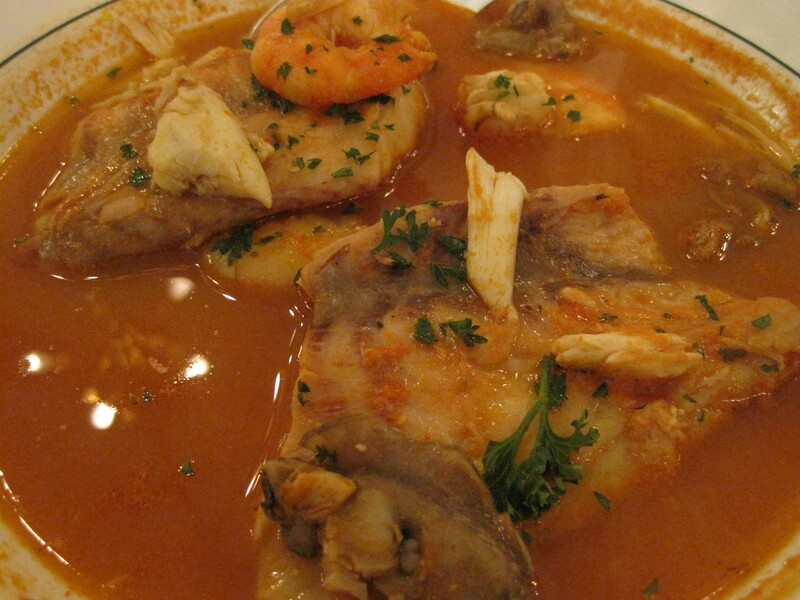 A beautiful blend of slightly sweet and savoy… perfectly balanced tomato based “soup” with fresh notes of saffron, thyme, bay and garlic – Add to that, fresh redfish, lump crabmeat, oysters and shrimp~Well…Extraordinary! Tip the bowl and sop up every last drop with their wonderful warm garlic bread…Love! Dessert? Who could possibly have room for dessert? 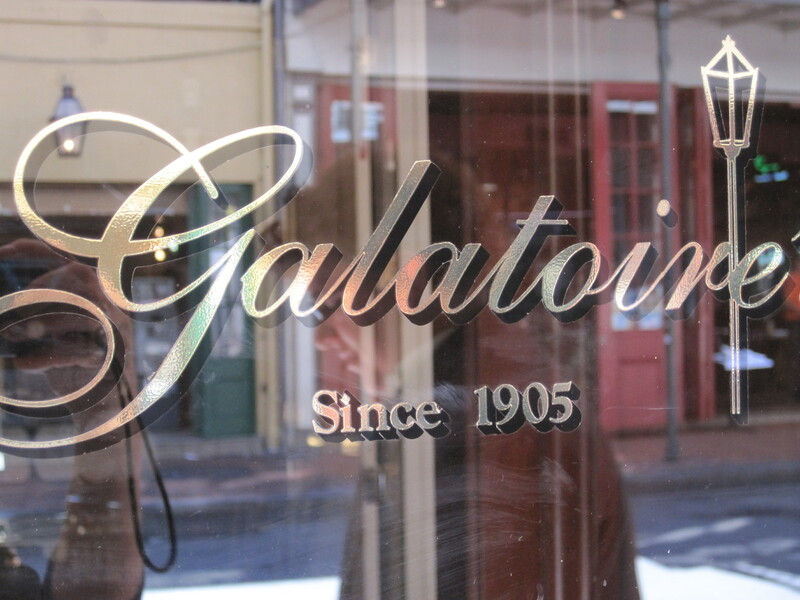 We just couldn’t leave Galatoire’s without a “bite” of something sweet! So…Caramel Caramel Custard Cup it was! 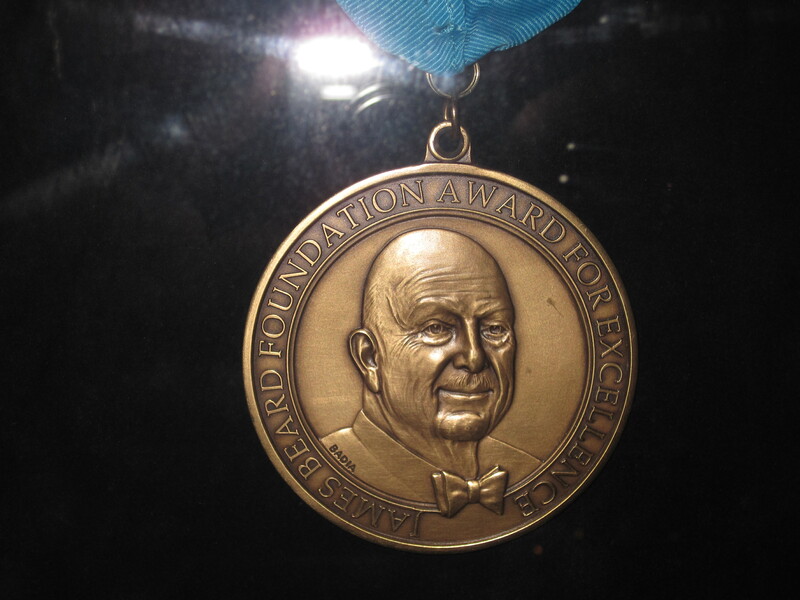 This has been on their menu since they first opened in 1905! Can’t go wrong…velvety smooth creme’ caramel – Not too sweet, just a perfect end to a fabulous “extravaganza” of a Sunday Lunch at Galatoire’s! This is the cookbook that tells the interesting history and recipes that have been handed down from family members and their chefs. From my point of view, worth its weight in gold! A must have! All of this and always staying true to the heart and soul of New Orleans. 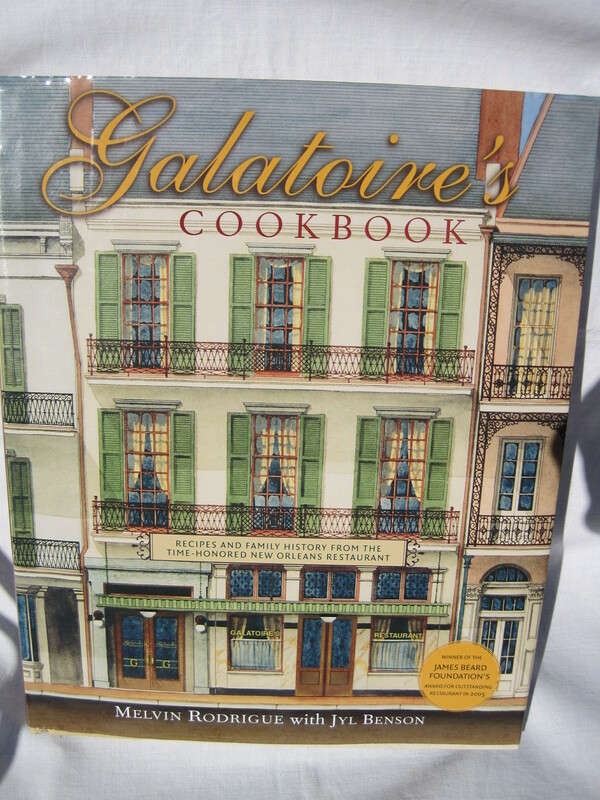 All I say upon leaving is what I always say, “I’ll be back bringing friends”- only one way to say it…Thank you, Glorious Galatoire’s, I love you!